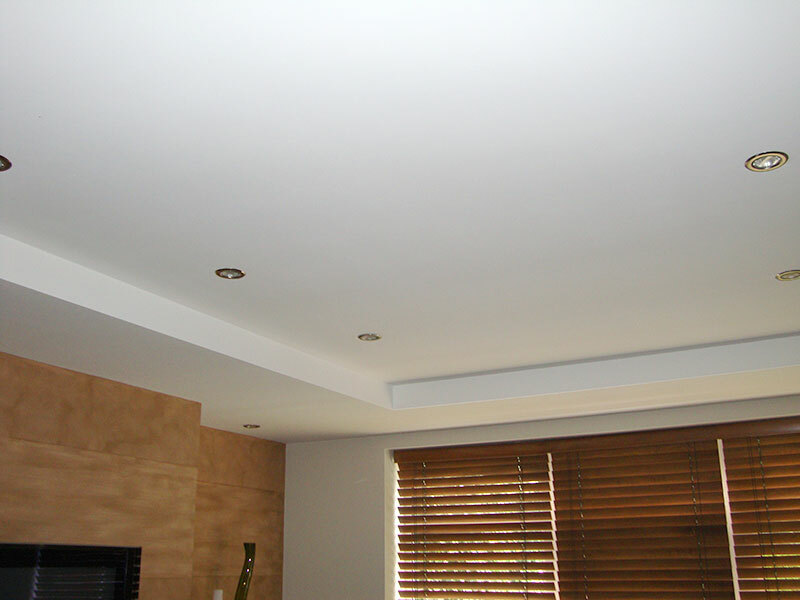 These ceilings can be constructed in either lightweight galvanised metal or timber. 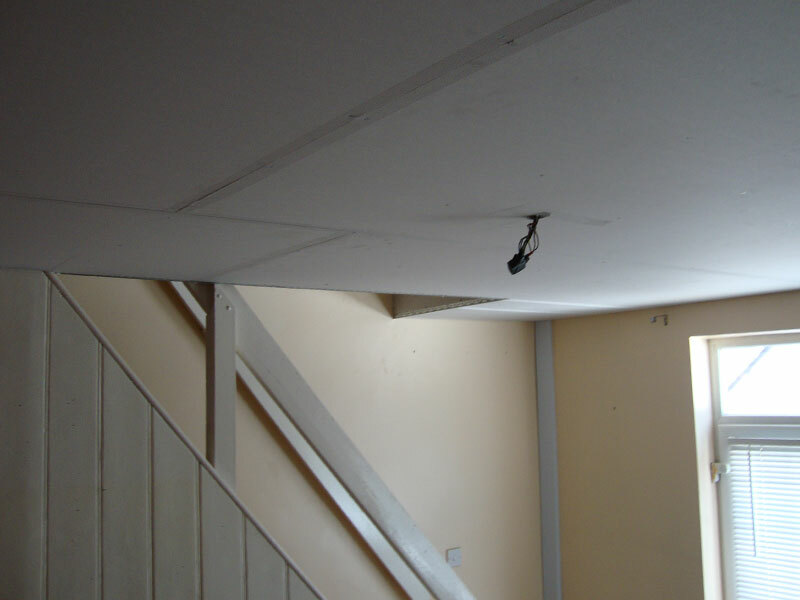 The lightweight galvanised gris is suspended be either strap hangers or angle sections fixed to the structural soffit. 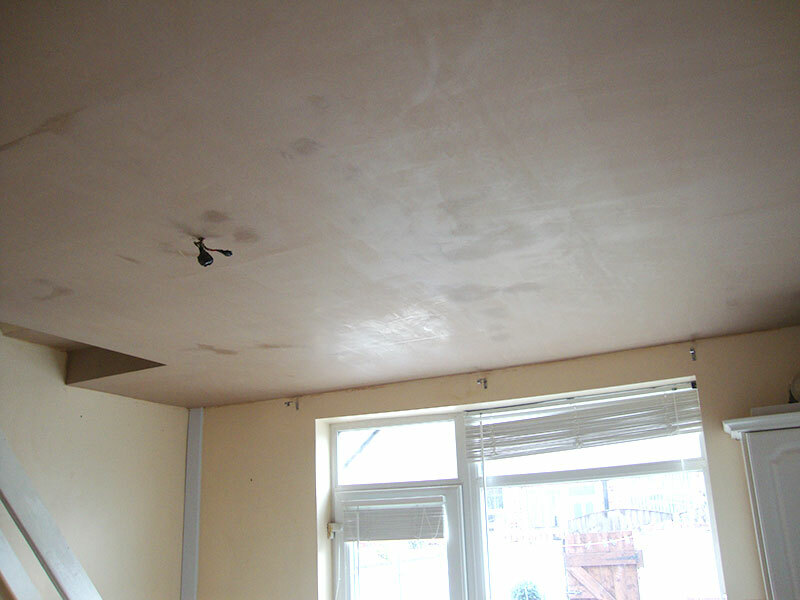 Plasterboard is then screw fixed to the metal and a 2mm skim coal of plaster can be applied to achieve a more traditional plaster finish. 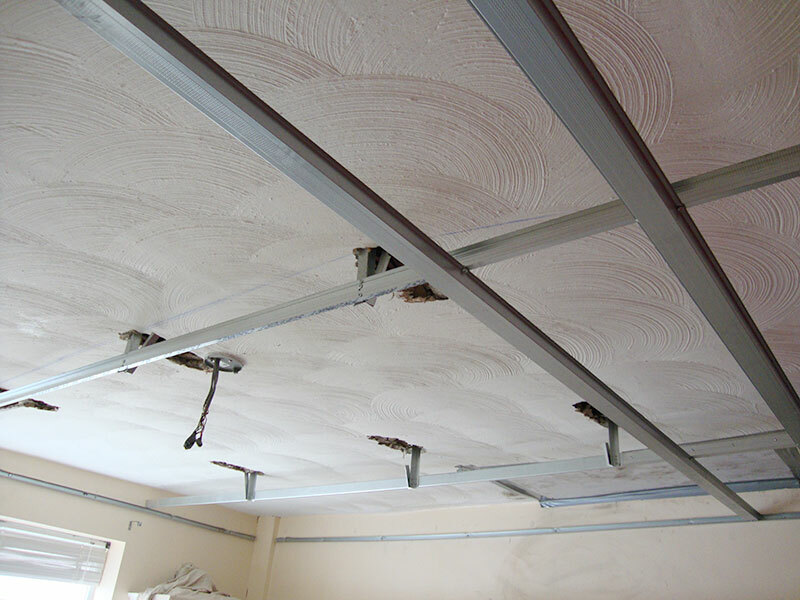 The lightweight galvanised m/f ceiling can be a flat level structure or curved to give various impressions depending on the clients request.